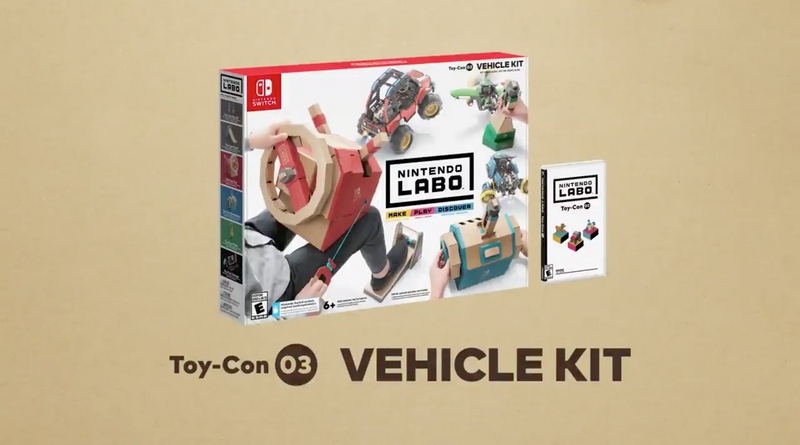 The next cardboard sensation is releasing in just two weeks (September 14) with Nintendo Labo: Vehicle Kit. The new game comes with all the pieces you need to build a flight stick, a steering wheel (and pedal) and a submarine control mechanism. The 7-minute overview trailer gives a fantastic look into what you can expect with this latest iteration.